When time, complexity and confidentiality are critical, retained search firms are the first option, and clients and candidates alike trust the Dressler Search Group. We have helped negotiate advancing career moves for hundreds of business executives and delighted a wide range of diverse search clients. Every Dressler Search Group client is unique, with different needs, challenges, priorities and corporate cultures. We appreciate this and invest considerable time getting to know your business. We listen to understand your story and dive deep into the role to develop a list of key behaviors, outcomes and deliverables that we use to target ideally qualified candidates, clearly setting expectations with them early in the process. Our goal is to be able to represent your brand as effectively as you do and this process of discovery enables us to develop a compelling value proposition to take to the marketplace. We don’t have to tell you that the competition for top notch talent is as fierce as it’s ever been. It’s critical that we both make the strongest initial impression possible. We help you stand out from the pack while ensuring a great candidate experience. We partner with companies that recognize their investment in senior leadership is one of the most critical decisions they may ever make. 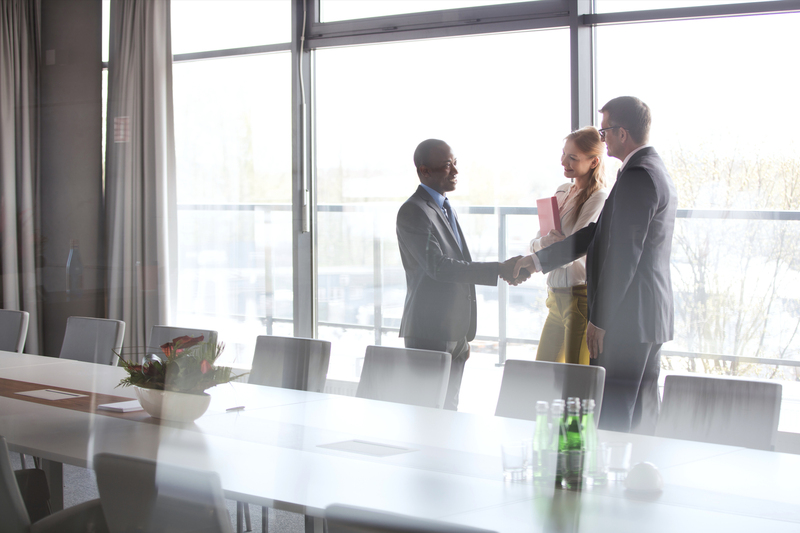 With relationships spread evenly between public, private and investor-owned organizations, we value the trust our Clients place in us to help them secure the executive talent they need to achieve their business goals. Retained search is particularly appropriate when the need is urgent, the hire will have a significant impact on company performance, or new opportunities emerge that must be quickly addressed. We understand and thrive in this environment, consistently providing the very best in speed, quality and successful performance outcomes. With a national and at times global reach, depending on our Client’s unique needs, we possess the years of experience to be comfortable in any environment. Leveraging more than 100 years of retained search experience across multiple verticals and general management/senior functional leadership roles, the Dressler Search Group has offices in Pittsburgh, Columbus, Raleigh and Ann Arbor with a partner office in London, with veteran Search Professionals anchoring each location. Our process is research driven, transparent, outcomes based and guaranteed! We take a deep dive on your company and the position, developing a compelling Position Profile that sets clear expectations for the opportunity and the challenges the successful candidate will face, ensuring the first 6 to 12 month expectations are clearly articulated. We also set clear expectations for how we will communicate with you throughout the course of the assignment, to include weekly written reports and update calls as momentum gathers. Targeted research plays an important role in the development of our search strategy. We start with a list of direct and indirect industry competitors, which our research team uses to identify talent at similar levels and those above and below your open position within each company. With this list in hand, we approach potential candidates to test their interest in the role, drawing on our insights about candidate interests and aspirations to persuade strong prospects, many of whom are not currently looking to make a career change, to consider new opportunities. We conduct several competency-based interviews with candidates based on the proven skills, knowledge, abilities and aptitudes outlined in the position profile using our proprietary Candidate Assessment model. Depending on your preferences, we often utilize the Predictive Index Assessment to gain additional insights into the candidates’ fit to the position. We also gladly coordinate our efforts with those of your internal or external assessment processes. We calibrate these outputs and develop a short list of candidates possessing both the qualifications you are seeking and a high level of interest in the position. Once we have reviewed our short list with you in detail, we meet with each candidate face-to-face or via videoconference, dependent on the timelines previously established. We then develop a profile for each candidate we plan to submit that contains all the important information you want, including thoughts on relocation, compensation, fit to the position, background and experience that demonstrates similar career successes, cultural fit, leadership and communication styles, emotional intelligence quotient and the like. Once we provide you detailed candidate information, we continue to stay involved to ensure your internal candidate assessment process reaches the successful outcomes you desire. As you narrow the field to a finalist candidate or two, we provide a written Reference Summary detailing the critical information you are seeking from past subordinates, peers and leaders to support your internal decision-making process. When you’re ready to make an offer, we provide any and all help you may require to negotiate the offer, relocation package as appropriate and start date to ensure a we get the deal done. A great candidate is just that, a great candidate until the deal is closed and all parties committed to the future employment relationship. We have years of experience in closing deals and helping ensure your hiring decisions come to fruition! CEO and President to lead the strategic growth of an early stage company, bringing to market an innovative product group for application in aerospace & defense electronics. Division President to lead an established defense business, expected to assess strategic platform and develop plan for future growth. Chief Human Resources Officer directs HR for one of the world’s leading research institutes and its 4000 employees worldwide. Senior Vice President Administration leads multiple functions within the Americas sales/marketing & distribution business structure for global manufacturer, including supply chain, legal, compliance, loss prevention, IT and trade services. Vice President Corporate Tax leads the tax function for newly formed $1.0B NYSE pipeline company. Vice President / General Manager leads all aspects of $100MM business, manufacturing stainless & high-temperature-alloy products for aerospace/defense and oil field applications. Vice President, Manufacturing (China) to overcome multi-cultural manufacturing challenges, develop strategic Asian manufacturing initiative, participate in developing/mentoring senior talent globally, drive quality and process improvement initiatives. Vice President, Consumer leads and build U.S consumer electronics organization. Develop strategic plan to achieve market position and growth. Identify product-specific strategies to achieve inroads in specific market segments. Vice President, Regulatory Affairs leads governmental approvals process, ensure timely and complete submissions to FDA, build research organization. Experience with all government agencies, submission process management, dealing with multi-national senior leadership teams. Director, Treasury Services leads all aspects of treasury service operations and participates in developing treasury management products and selling treasury services as appropriate. Vice President, Marketing establishes and manages marketing programs for all banking, lending and finance groups for a Top 10 US bank. Thanks for taking time to visit our site. We’re proud of the work we do in the executive search space and equally proud of the candidates we advance for key opportunities. We work a wide variety of searches across multiple verticals and functional areas and would welcome the opportunity to include your resume in our Candidate Database and have a few minutes to learn more about you and your thoughts about future employment. Please attach your resume below and leave us a note to get a call scheduled at your convenience. Who knows, we could be working a search today that perfectly aligns with your career aspirations! If not, it will be good to be aware of your search so we can support you in any manner possible.